Donald Trump has made possibly his most controversial decision yet as President of the United States: withdrawing from the Paris Agreement on climate change. The decision has sparked an uproar from political leaders and the press worldwide – many of them condemning the move. Trump made the announcement on June 1, just days after completing his first presidential trip abroad. This included attending the 43rd G7 summit in Italy, where the President reportedly faced pressure from leaders of the other G7 countries to keep the U.S. in the accord. Donald Trump is not a man of subtlety. He has gained a huge amount of media attention through consistently posting controversial opinions on social media – particularly Twitter. This is one of the factors that aided his path to the Presidency. Many alienated voters found his willingness to provide an “honest opinion” endearing, making him distinct from many other politicians. On the world stage however, these qualities have not won him many allies. Pulling out of the Paris agreement will do little to improve Trump’s standing and a lot to worsen it. Already the announcement has been described by some as the end of a geopolitical era for the US. CNN’s Fareed Zakaria has claimed that by exiting the agreement, the U.S. has stepped down from its claim to being the leader of the free world. This opinion has been echoed across social media. The decision seeming to further polarise opinions on Donald Trump. India had previously been a reluctant signatory of the Paris Agreement. 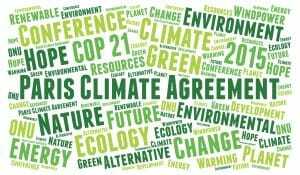 Opinions seem to have changed since then, with Prime Minister Narendra Modi announcing that India will “go beyond” the Paris Agreement, following a meeting with French President Macron. India in 2014 contributed 28 percent of the global emissions growth. As a rising economy with rapid expansion of industry in the last few decades, India struggles with air pollution. The situation of air pollution has reached such an extreme extent in India that it is believed to be the potential cause of premature death of around 1.1 million people. Could India benefit from the situation? The Hindustan Times claim that India’s growing renewable energy sector may benefit from US withdrawal from the agreement. With US federal policies regarding green energy now thrown into uncertainty, India’s green sector becomes a more appealing investment opportunity. India has a number of optimistic plans to curb the country’s carbon footprint. A recent commitment to only sell electric cars in the country by 2030 caught the attention of Tesla founder Elon Musk. Musk himself recently resigned from Trump’s advisory councils as a protest to the withdrawal from the Paris Agreement. Indian electric car manufacturer Anand Mahindra, tweeted Musk, inviting him to join the Indian market. China has promised to continue to uphold the terms of the Paris Agreement. Chinese Prime Minister Li Keqiang, according to a report by The China Post, has promised to put China’s full political weight behind the Paris Agreement. He has shown a high level of cooperation with EU officials following Trump’s announcement of withdrawal. 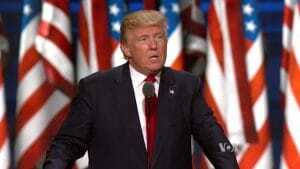 B oth China and India were accused by Trump of ignoring the terms of the agreement, continuing to pollute, while simultaneously stealing coal based jobs from the US. China is now seen to be taking advantage of the power vacuum left by the withdrawal of the US. America has been said by some to be losing the title of leader of the free world, and without a doubt is losing any high ground they may have had on environmental policy. This presents tumultuous trading conditions. China is reported to have accelerated its plans to move away from coal and towards renewables. China has claimed that the BASIC countries (China, India, Brazil and South Africa) have made huge steps towards combating climate change, and that investment in green technology should be a priority. Li Keqiang has met with EU officials to discuss making climate change a “main pillar” of their bilateral partnership, hoping to create closer economic relations with the EU. Similar to the reaction of other nations, Brazil has promised to uphold the Paris Agreement. Despite political turmoil in the country, possibly because of it, the government is seeking to reassure investors that the country is still willing to invest in green energy. Plotting future projects to maintain the agreement to combat climate change. Criticism for Trump’s decision was not lacking in Brazil. Award winning journalist Jamil Chade said via Twitter (translated from Portuguese) that the decision will have to be explained to grandchildren, and that there is no plan B as there is no planet B. Statements such as this are becoming a frequent occurrence, Trump was never a popular president abroad, this decision has simply made this more apparent. Criticism however has not been limited just to Trump. The Brazilian government has also come under fire by some. Brazilian news outlet plus55 notes that while Brazil is fast to call out Trump, it does not meet its own emission targets. Reportedly, under President Temer’s administration, the Ministry of the Environment has seen budget cuts of around 50 percent due to economic recession. Reforms to the Forest code have also opened 41 million hectares of the Amazon rainforest vulnerable to deforestation. Emissions continue to rise annually in the country. The chairman of the Least Developed Countries (LDC) group, Gebru Jember Endalew, said that Africa is already facing the effects of climate change, with record levels of droughts, flooding and heatwaves. Endalew claims that Trump is shirking his responsibility as a leader in the face of climate change. As recipients of some of the financial donations that the US was due to make under the agreement, Africa stands to lose the most from Trump’s withdrawal. Africa has countries that are amongst those most at risk of the effects of climate change, yet are among the most deprived of the resources to deal with the outcome. This line of thinking has been at the forefront of discussions of the effects the withdrawal will have on Africa. Many pointing out that seven of the world’s ten most at risk countries are in Africa. This is paired with the relatively low levels of emissions from African nations, highlighting that the issue is a global problem, and not one the world can afford a global leader retreat from. The Paris Agreement was created in 2015. It was an agreement that was adopted by 195 nations, with 147 ratifying the agreement. The agreement was put in place as an attempt at a global response to the issue of climate change. Of the many goals it aims to achieve, one is to help developing nations to combat the effects of climate change. The central concept of the Paris Agreement, and the benchmark against which all efforts are measured, is the global temperature rise predicted for the end of this century compared to pre-industrial levels. The intention of the agreement is to limit the increase to 2°C. A more optimistic goal is to limit this increase to 1.5°C. In order for these aims to be achieved, developed nations have taken steps towards a nationwide focus on green energy. The Paris Agreement notes that developing nations will lack either the financial, or technological ability to commit to the same green energy initiatives. This makes the financial contribution of wealthier nations imperative to the goals of the agreement, as the lack of progress in developing nations could offset any progress made elsewhere. 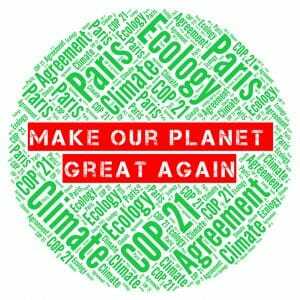 The US committed to give $100 billion USD a year to developing nations as part of the Paris Agreement. Lacking this financial aid could make combating climate change far more difficult for other nations in the near future. European leaders were quick to condemn the withdrawal. Both Angela Merkel and Emmanuel Macron have given statements providing both criticism of Trump’s decision, as well as assurance that their countries will continue to support the efforts against climate change. The only stand out political reaction is that of Vladimir Putin, reportedly speaking in English to say “don’t worry, be happy”, referencing the song by Bobby McFerrin.